Golf, Getting Into the Swing of Things. This weekend starts the first of the four major championships that revolve around a little dimpled white ball. 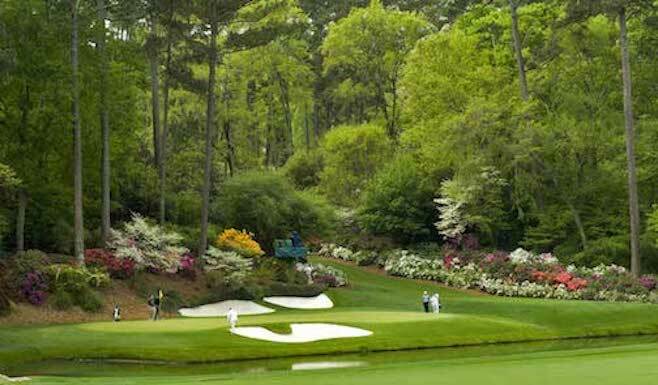 Cherry blossoms may herald spring but so does The Masters Tournament, held annually at Augusta National Golf Club in Georgia. It’s the only major tournament held at the same course each year. Why? I have no idea…you’ll just have to ask a golfer. Mark Twain once said that golf is a good walk spoiled and while I tend to agree with him, there are plenty of folks who’d gladly argue that point over 18 holes. This southern city may be renowned for its blues and barbecue but the addition of Mirimichi golf course in 2009 provided another reason to visit the land of Elvis. Native son Justin Timberlake did the right thing when he invested $16 million on revamping an existing golf course in his own backyard, turning it into a state-of-the-art, environmentally friendly property. He also kept prices low, making this public course user-friendly for locals while encouraging tourism at the same time. Mirimichi was ranked the #1 golf course in the U.S. in 2013 by Golfweek magazine and is also the first golf course in the U.S. to receive official Audubon Classic Sanctuary certification by Audubon International, a non-profit environmental education organization. Another good reason to go to Memphis. As the song says, it never rains in California and with pretty much perfect weather all year round, San Diego is a traveler’s dream. 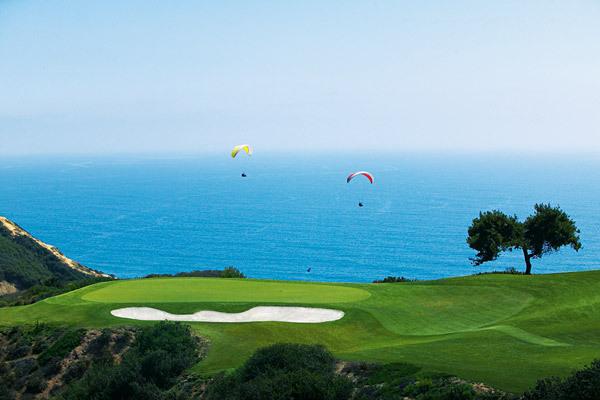 Its spectacular scenery, nightlife, and dining options make it a hole-in-one destination for most travelers but it’s the municipal greens in La Jolla at Torrey Pines that make this destination a paradise for golfers. Yeah you might blow a bit more cash on this trip but it’ll be worth it for the five diamond experience and panoramic views you’ll get at the Lodge at Torrey Pines when you book a Signature Package that includes two nights and a chance to play on the course that hosted the 2008 US Open and which has been chosen to host it again in 2021. A captivating course at Torrey Pines. My British friends who live in the US have no problem going to play golf when there’s a chance of rain; they know they’ll have the course all to themselves. If you’re of the same spirit then you may want to consider a flight to Seattle. Most people may not think of The Evergreen State as a golf destination but Salish Cliffs is changing all that. 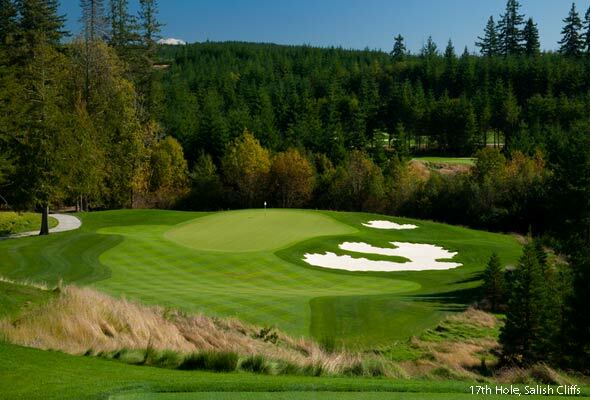 Part of Little Creek Casino Resort, this property offers inviting stay and play package discounts where you’ll golf in a pristine wilderness area of the Pacific Northwest. The hotel’s amenities include Seven Inlets Spa, which has a robust menu of treatments and entertainment at the Skookum Creek Event Center that often includes headline acts. After a few days of golfing, head into the Emerald City and explore all its unique offerings. The 17th hole at Salish. Golfers are spoiled for choice in North Carolina, as anyone who’s ever spent time swinging balls down there knows. 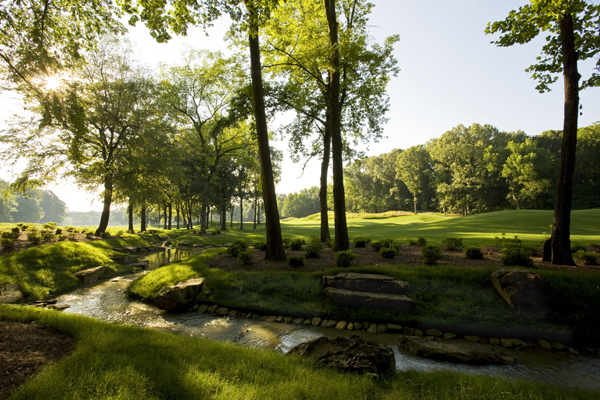 Tobacco Road has earned its place as one of the top 100 public golf courses in the U.S. by Golf Digest and Golf Magazine and it also ranked as one of the top 50 in the world by Golf Course Architecture Magazine. With its gorgeous greens, friendly rates, proximity to 30+ other courses, and southern hospitality, what more could you want from a golfing weekend. 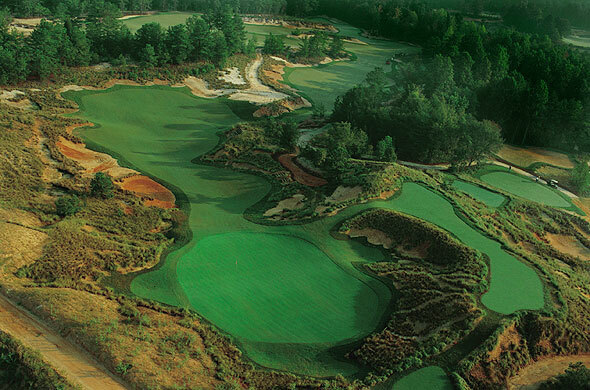 Check out Tobacco Road Golf & Travel to see all the options within this destination. The view above the Road. The International Association of Golf Tour Operators voted this southern region of Portugal, Europe’s Best Golf Destination for 2014. The Algarve beat out such heavy hitters as the Scottish Highlands, the French Riviera, and Central Ireland. Portugal is one of the few affordable European countries where you can stretch a dollar, offering yet another reason to consider putting this trip at the top of any vacation plans you may be working on. If golf’s your game then you don’t need me telling you where to go in the Algarve…you’ll figure it out but click here for some sweet recommendations. Vale do Lobo, just one of the many courses in the Algarve. Any good courses in your neck of the woods? 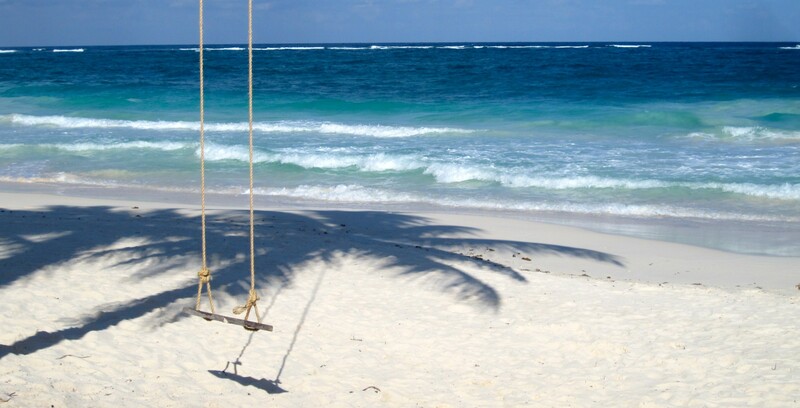 Share the wealth and drive some travel there! This entry was posted in Uncategorized and tagged Augusta, Augusta National Golf Club, budget golf destinations, CA, Georgia, golf, golf getaways, Memphis, Mirimichi, North Carolina, Pacific Northwest, Portugal, Salish Cliffs, San Diego, Shelton, the Algarve, the Lodge at Torrey Pines, The Masters, Tobacco Road, Torrey Pines, Torrey Pines Golf Course San Diego, Travel, Washington on April 10, 2014 by portsarecalling. I love it, makes me want to go golfing sooner than I’d planned and check out some new places. Thanks. Did not golf as much as we wanted to in Florida but our local course will open in a week or so weather permitting. But now we are dreaming about our travel plans in September when we will be golfing at the Montecarlo Golf & Country Club! Yipee. Makes even a non-golf lover interested, DHP would have loved it. I’m more a mini golf player but this may encourage me to try it on a grander scale!